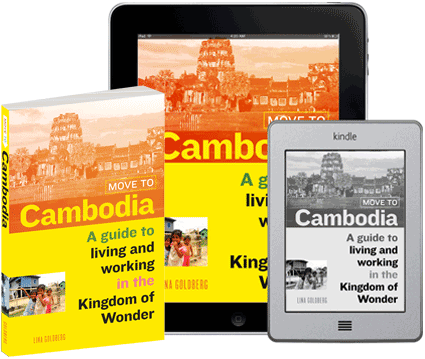 Everything you need to know about all types of Cambodia visas. Whether you’re a tourist or a resident, you’ll need to get a visa to come to, or stay in, Cambodia. Tourists visas are pretty straightforward, but long-stay visas have gotten more complicated. Until very recently you could get a long-term visa for Cambodia easily and renew it indefinitely without being sponsored by a company, or having any particular qualifications to do anything, in fact. The rules were severely tightened in 2019, giving clear preference for those who are locally employed or of retirement age. Yes, you too can get a Cambodia visa. Tourist visas. The tourist visa (T class) is best for those who know they will be staying 30 days or less. The 30-day tourist visa is available to travelers in advance or on arrival (for most nationalities) for a cost of $30 if you get it directly at the airport. The tourist visa is single entry only, and can be renewed once for an additional 30 days for a fee of $45. 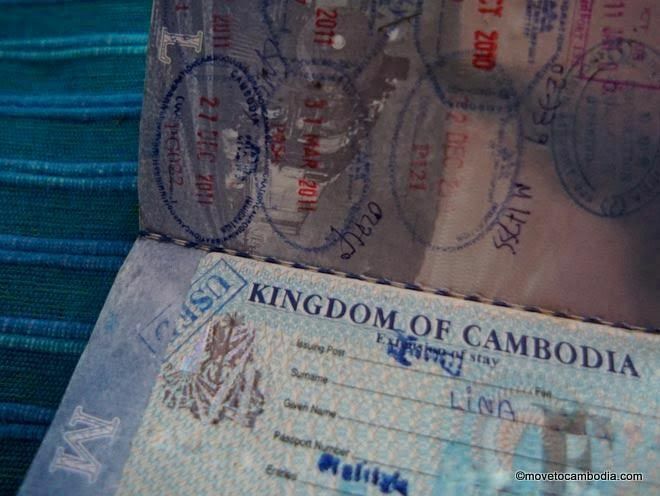 After that, tourist visa holders must leave Cambodia and come back to obtain a new visa. If you are planning on staying in Cambodia, don’t bother with a tourist visa and start with a renewable ordinary visa instead. There is a minimum stay of 24 hours if the Cambodian visa is issued at the Siem Reap airport; otherwise there is no minimum stay. Cambodian “ordinary” visas (E class). 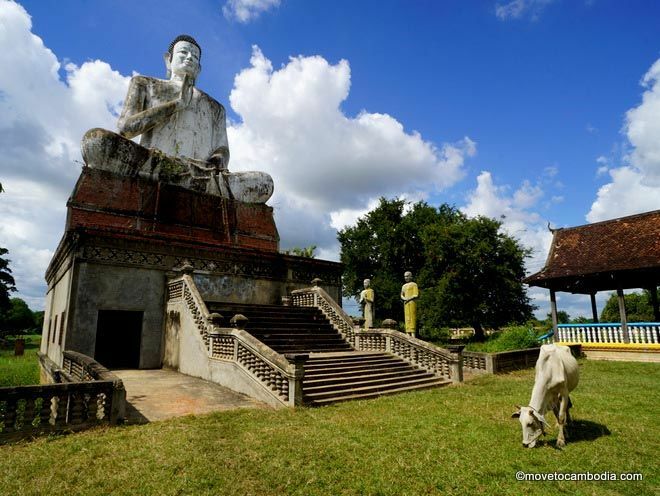 If you are considering staying in Cambodia for an extended period of time, you will need to apply for a 30-day E-class visa (not an online e-visa) when you arrive. This is also valid for 30 days and costs $35. The difference between the ordinary visa and the tourist visa is that the ordinary one can be extended indefinitely. After 30 days, when you go to extend your visa, you can choose an EB, EG, ER, or ES visa extension, known as an EOS, or extension of stay. Previously, there used to be only one E-class visa extension, known as the “business” or “ordinary” visa. In 2017 a new set of E-class extension of stay types became available. (These are in no way related to the electronic visa, also confusingly known as the e-visa). EB visa extension. The EB business EOS covers most Cambodia expats, including those who are working and their partners and children, freelancers, and volunteers. The current rules (as of January 2019) require applications to provide a stamped letter verifying their employment with a Cambodian company). This renewable visa extension can last for 1, 3, 6, or 12 months, although only the 6- and 12-month visa extension allow multiple entries. Spouses and children of EB visa holders can submit the visa-holder’s employment letter, which should state that the company supports the application for the spouse’s EB EOS as a non-working dependent, and include the dependents’ passport information. They should also bring proof of their relationship to the visa holder to renew their own visa extensions. Those who are self-employed and have registered a business can write a letter confirming their own employment. This letter must be stamped with a business stamp that can be purchased at any stamp shop for less than $15. Other self-employed people who do not have a business registered have had success getting a stamp with their name on it and writing a letter confirming that they are self-employed, but your mileage may vary if you have not registered a business. Be aware that the EB visa extension does not confer the right to work in Cambodia. In order to be legally employed, you will need a Cambodian work permit. Once you have the EB visa extension, at any point in the future the immigration police may ask to see your business license, work contract, and work permit, or a letter confirming the purpose of your stay. EG visa extension. The EG visa extension is intended for those searching for employment, and can last 1, 3, or 6 months. Those who have had previous EB visa extensions may or may not be granted an EG visa, as they are not intended for those who have already been in the country long term. Many people have been able to renew the EG visa extension once, but as always, your mileage may vary. It is unknown if it can be renewed more than once. ER visa extension. The new retirement visa extension is meant for those of retirement age who can show documentation of retirement in their home country (such as a pension or Social Security) and prove that they have the funds to support themselves. ER visa extensions are usually only granted to those who are 55 and up, but some have reported being able to get one at a younger age. Those 55 and up are not usually asked to show evidence of retirement, but those under 55 will be asked. Often, proof of savings is enough. The criteria for those under 55 have not been defined and varies depending on which agent you use to apply. The ER visa extension cannot be used if the visa holder is employed, but holders of this visa extension do not need to get a work permit. The ER retirement visa extension can be issued for 1, 3, 6, or 12 months. ES visa extension. The ES visa extension is a student visa. Applicants for the ES visa extension need to provide a letter from a registered Cambodian school, as well as evidence of sufficient funds to support themselves. The ES student visa extension can be issued for 1, 3, 6, or 12 months. Once you have your first 30-day E-class visa for Cambodia, you can apply for one of the extension of stay visas listed above from inside the country for 1, 3, 6, or 12 months. It’s advisable to extend it for 6 or 12 months, as these visa types are multiple-entry. The 1- and 3-month visas are single-entry only, meaning that if you leave for a weekend trip to Vietnam, you’ll need to get a new Cambodian visa when you return. It’s important to note that if you are planning on getting a visa on arrival, some airlines will not allow you to enter the country on a one-way ticket. 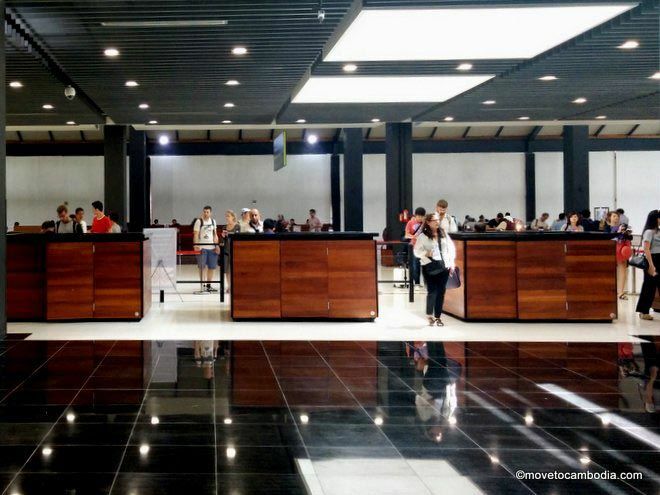 If you are planning on getting a one-way ticket, give yourself extra time at the airport so that if your airline requires you to get a return flight you have time to either search for a cheap flight or bus ticket from Phnom Penh to Ho Chi Minh City or Siem Reap to Bangkok, or get a fully refundable flight that you can then cancel once you arrive in Cambodia. It is sometimes also possible to sign a release staying that you will be responsible for procuring a plane ticket out of the country if Cambodia denies you entry. K-class visa. The K-class visa is for those of Cambodian descent who hold a foreign passport. It is a free lifetime visa, although you will almost certainly be asked to pay an unofficial “facilitation fee” to get it. Bring any documents that show that you have one Khmer parent, such as a birth certificate, marriage certificate, family book, or Cambodian ID card. A Khmer last name and ability to speak Khmer may be enough—along with a $20 bill, of course. Cambodian visas for children. Since late 2016, all non-Cambodian children have been required to have an E-class visa to enter the Kingdom. The prices are the same as for adults. If the child has at least one Cambodian parent, they can apply for a free K-class visa. Children can apply for a ES visa extension without evidence of being enrolled in school up to the age of 17. After that they will need to get an EB extension or show evidence of school enrollment. Ministry of Foreign Affairs. The INGO will need to apply in advance for your visa and have a representative meet you at the airport on arrival. If you are already in Cambodia on another visa type, you will need to leave the country and re-enter to get your B-class visa. The first visa is good for three months and subsequently can be renewed for up to a year (based on the length of your contract) at the Ministry of Foreign Affairs. Spouses and children of NGO visa holders are eligible for a C-class visa. Ask your employer if you are eligible, because not all NGOs qualify. If you are caught using a visa for a purpose not allowed under that particular visa type, you will be fined $100 and required to leave the country within 7 days (so don’t get a retirement visa if you are working). If you arrive overland from Thailand at Poipet, this is where you’ll be getting your visa. Who needs a visa for Cambodia? Most foreign visitors will need a visa, including infants and children (the price is the same as for adults). If you are from an ASEAN country and hold a passport from Brunei, Indonesia, Laos, Malaysia, Philippines, Singapore, Thailand, or Vietnam, you do not need a visa to enter Cambodia for between 14 and 30 days depending on the country. Officially, if you are from Afghanistan, Algeria, Saudi Arabia, Bangladesh, Iran, Iraq, Nigeria, Pakistan, Sri Lanka, or Sudan, you are not eligible for a visa on arrival and will need to apply in advance at the closest Cambodian embassy in your home country (although all but citizens of Nigeria can apply online for an e-visa a minimum of 20 working days in advance). For citizens of these countries, the visa requirements are far more onerous. At a minimum, you’ll need a return ticket and sponsor letter or letter of invitation from an employer or organization. Be aware that although residents from African countries are technically eligible for Cambodia visas, many are denied on arrival. A passport that is valid for at least six months and has at least one blank page. A passport-size photo. If you don’t have this, you can pay a $2 fee at the airport and they will scan the photo from your passport. At the airport. If you’re from most countries, you can get a visa on arrival at the Phnom Penh, Siem Reap, and Sihanoukville airports. You do not need to do anything in advance — you’ll be given the paperwork on the plane and you just need to get in line on arrival with your passport photos, cash (in US dollars), and passport. There is an ATM at the airport in arrivals that dispenses US dollars if you don’t have any on hand. If you want to skip the visa line, there’s usually an official on hand who will speed you through immigration and customs for a “donation” of between $5 and $20. Online. Another option is the Cambodian e-visa, which can be obtained online. 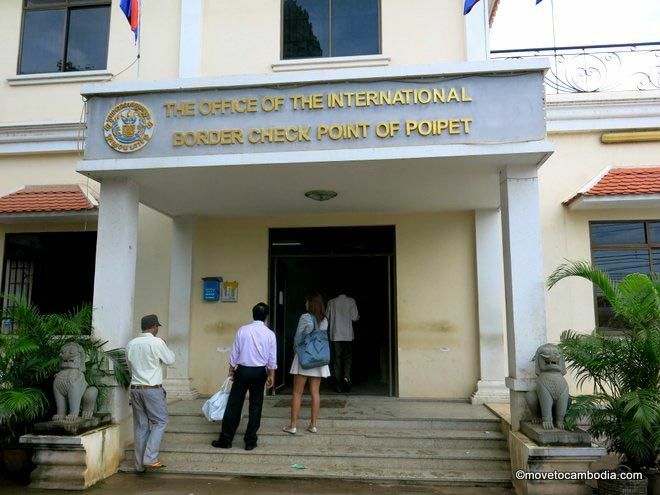 It is only offered for the tourist (T class) visa and is available to those entering Cambodia at the Siem Reap, Phnom Penh, and Sihanoukville airports and the Bavet, Poipet, Stung Treng, and Cham Yeam land border crossings. It is only available to citizens of the countries for which visas on arrival are available, which is a nebulous and oft-changing list. You can apply through the official government visa processing center, but be aware that visas can and do get lost in their system, so make sure to apply at least a week in advance. The cost is $40 for a 30-day visa. At a Cambodian embassy. If you prefer to get your visa in advance — or if you are from Afghanistan, Algeria, Saudi Arabia, Bangladesh, Iran, Iraq, Nigeria, Pakistan, Sri Lanka, or Sudan — you can visit your nearest Cambodian embassy. You can get one at the embassy, you can get one on the internet, you can get one at the airport. If you have a 30-day tourist visa, you can extend it once for an additional 30 days for a fee of $45. If you have an ordinary visa (E class) you can extend it for 1, 3, 6, or 12 months for between $45 and $300 depending on the length of the extension. Currently, Cambodian visas cannot be renewed online. This method can take longer, requires multiple treks to the airport, and most are charged the same price as through an agent. For those who are connected, it is said to be possible to get a visa for $100 less—the rumored “official” price—although this unheard of for the average expat. The easy way to extend your Cambodian visa is to use any of the hundreds of local travel agents in town. They’ll take care of the paperwork for you; the process takes between two and seven business days. A 12-month multiple-entry visa costs $275 to $300, depending on the fee added by the agent. The agent’s fee is usually somewhat negotiable. It’s not advisable, but you can overstay your Cambodian visa at a cost of $10 per day, payable at Immigration on your way out of the country. If you plan to only stay a day or two over 30, this is often cheaper than getting a visa extension. However, be warned that you’ll need exact change in US dollars. If you present immigration officers with a $20 bill for a $10 overstay, it’s likely that you won’t be given change. It is possible to overstay for up to 30 days. After 30 days, overstayers are still liable for the $10 daily fee, but, depending on the length of the overstay, risk imprisonment, deportation, and future bans on entering the country.